Your mailing list is the concrete and rebar foundation to every one of your direct mail campaigns. Creative is important: the concept, copy and design of your piece is a reflection of your company—your brand—and that means it makes sense to interject creativity—relevance, intelligence, wit, humor, mindfulness—into your communications. However, when it comes to direct mail, the quality of your mailing list(s) and the integrity of your offer(s) are the second and third must-have legs to your sturdy, metaphorical tripod chair. That is why it is important to create a database of your current customers to help you learn about their needs, wants, likes and dislikes when it comes to your product(s) or service(s). Creating and maintaining a digital file of the demographics and preferences of your customers is a fundamental way to keep in touch with the people who have already handed you a portion of their hard-earned cash. Once you have the profile of your current customers in hand, you can up the ante of your direct mail strategy by tracking down the name of a reputable list broker, or two, and work with that person to create a list that matches up with the demographics and preferences of your current customers. Whether or not you choose to include prospect lists (i.e., mailing lists that you purchase/rent from a list broker) in your communication strategy, mailing lists are a major artery in the circulatory system of your business. 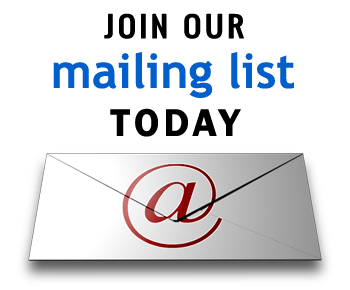 In other words, an up-to-date mailing list is not just a way of reaching your market, it is the market. Good news: the median response rate for direct mail sent to current customers (i.e., people who have purchased a product or service of yours) was 3.73 percent in 2014, up from mean averages of 3.4 percent in 2012 and 3.42 percent in 2010. Also, creating a thorough and informed primary mailing list (i.e., a mailing list populated with your current customers) will open doors for you in your search to find like-minded customers who have not yet reached out to you and your business. List brokers can help you to develop and refine a list of prospects for a fee. Okay. You’ll need to set aside some time—on a quarterly, semi-annual, or annual basis—to ensure that your customers’ information is both secure and up to date. Check with legal counsel to confirm that you are in compliance with your local and state regulations regarding customer information and privacy laws.